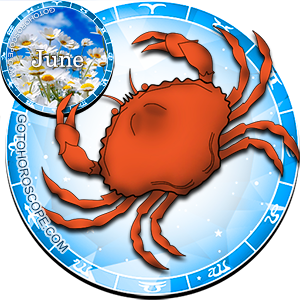 June 2012 Horoscope Cancer, free Monthly Horoscope for June 2012 and Cancer Astrology Forecast for the month ahead. You're going to see a huge opportunity in June. It might be personal or it might be professional. The key is to focus on what you need, not what others want from you. Don't get so caught up in how others feel that you ignore how you feel. You should also avoid depending too much on anyone, for personal or professional reasons. There may be a wolf in sheep's clothing in your life. Don't be suspicious of everyone, but do keep an eye to ensure the intentions of others are good. There are going to be negative changes in your career this month and it's going to come out of nowhere. The most important thing is for you to keep your confidence up. Don't let the unfounded opinions of others keep you down. State your case, but don't get emotional about it. You know the facts, and eventually they will all come out. Be flexible, be confident, and weather the storm. The first half of the year brought you financial windfalls - or at least a slight increase in income. You're going to see this tapering off now. The best option for you is to invest, but be careful not to put all your eggs in one basket. Diversify and you'll see a safe return on your money. Don't look at your decrease in income as a bad thing. Instead, think of it as a moral booster to keep you motivated to get back to where you were. June can be a tricky month for your love life. As we said in the intro, you're either going to have a serious change in your love life or your professional life. You may find a partner this month, and they may be exactly what you want. However, beware that they may not be quite who they say they are. Trust them until they give you a reason not to, but don't overlook what's right in front of your face. 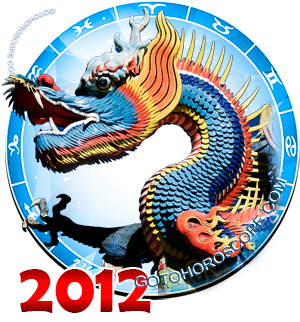 Those who are in a relationship would do well to open up and communicate openly with their partners this month. You may be surprised by the support you get. It's OK to be selfish right now, just don't make a habit of it. 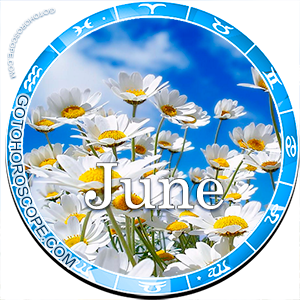 You've spent much of the first half of the year with unstable moods, but June will bring you the balance you've been looking for. When your mood is improved, you'll find it much easier to improve your lifestyle as well. Get plenty of exercise, eat healthy, and your improved, balanced mood can last.